I have taken A LOT of courses over the years, and I take bits and pieces from all of them. You will find great ideas out there, but it is all in the way you pull them together and present them to the child, and then HOW YOU RESPOND to the child and what they are communicating that makes all the difference. 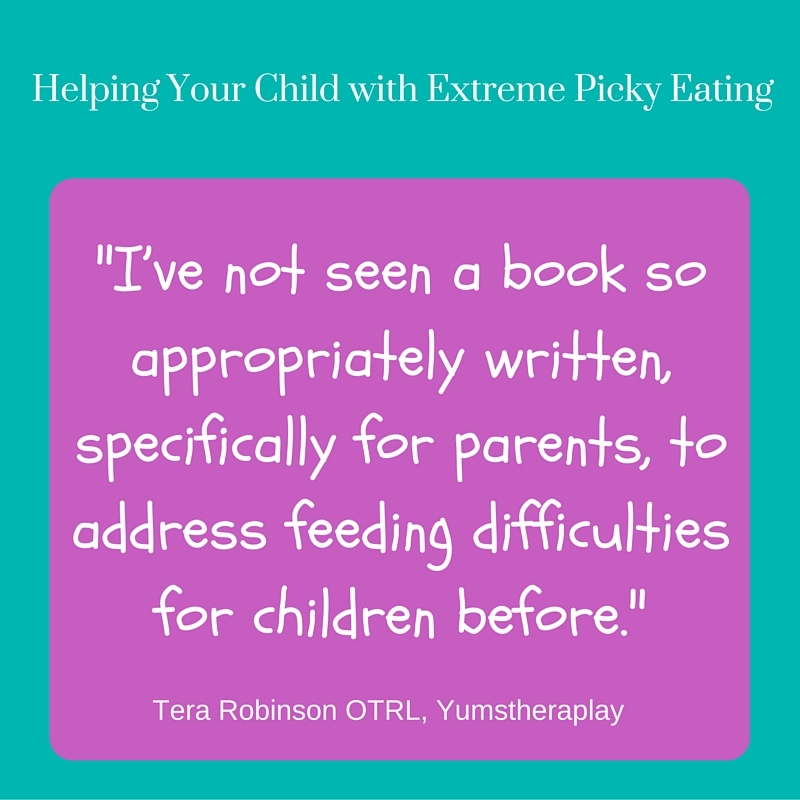 Our book, Helping Your Child with Extreme Picky Eating primarily supports parents and children at home, while introducing therapeutic tips and techniques. But many children need and benefit from the expertise of a trained SLP or OT. There are many providers of continuing education, and since most of your training will happen after you graduate, it can be hard to know where to turn. The thing about food chaining, bridging, SOS, crumbing, oral motor work… is that these techniques are tools in your kit. Many strategies can be used within our STEPS+ framework and a trusting therapeutic relationship. I hope that the links on this page will give you ideas for further reading, training, and resources to help you best help children and families. TIP: I use phrases like “I can …..” or “Sometimes I like to…” or “I wonder what would happen if I …(broke this, dipped it, mashed it)?” This language give the child an option, and avoids giving them a directive which they then may resist or reject. When incorporating the STEPS+ approach into therapy, you can’t separate the child’s reactions to food from the larger feeding context, just as you can’t separate the sensory and motor systems when viewing feeding skills. 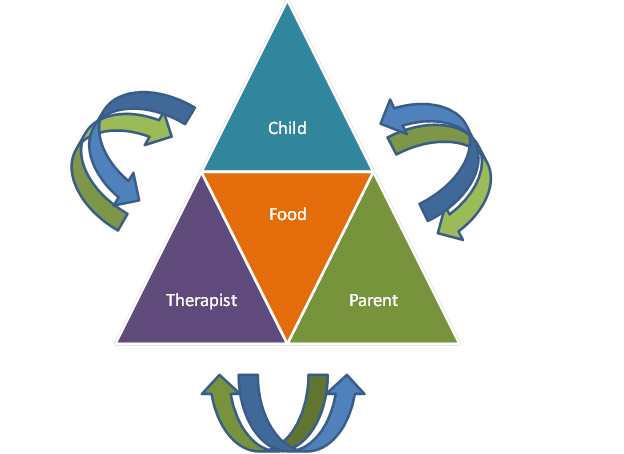 The dynamic triangle helps us understand the relational aspect of therapy. Feeding With Love and Good Sense II DVD: from Ellyn Satter. Typical feeding and development with family videos from birth to age five.